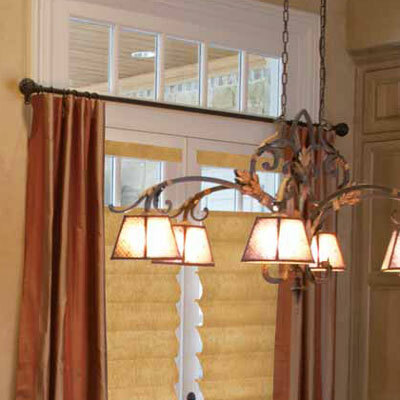 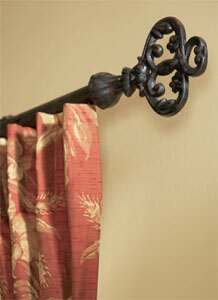 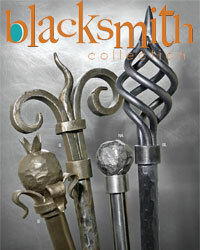 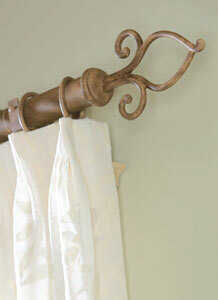 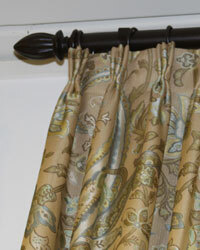 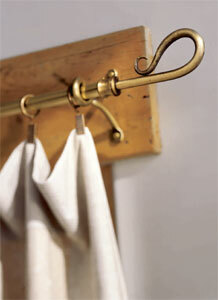 Wrought iron curtain rods create a classic drapery treatment for your homes decor. 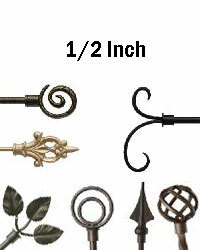 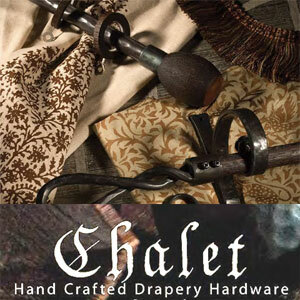 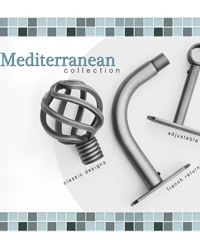 This selection of iron curtain rods offers affordably priced look alikes to higher end designer forged iron curtain rods. 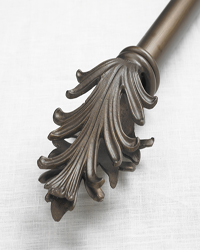 The iron rods offer sizes from ½ inch, ¾ inch, 1 inch and 1 ½ inch with hand forged wrought iron finials in a wide range of designs including twisted looks. 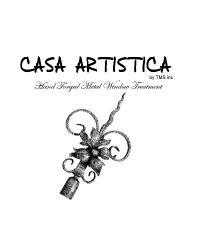 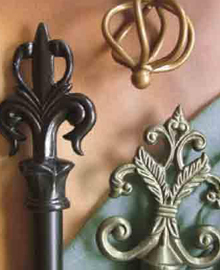 A full regiment of hardware accessories to complement the looks of the wrought iron curtain rods is offered featuring wrought iron finials, forged iron curtain rings, and iron and steel brackets to accomodate single and double wrought iron curtain rods, along with other decorative hardware.